Born in San Francisco in 1968, Brett Deubner studied at the Eastman School of Music in New York. He quickly made a name for himself performing as violin and viola soloist with the Eastman Philharmonia, as well as leading the orchestra in Heidelberg at the Schloss Spiele Festival. 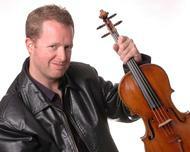 His principal teachers at Eastman were Zvi Zeitli (violin), Martha Katz (viola) and John Graham (viola). He has played concertos with important orchestras such as the Grand Rapids Symphony, Knoxville Symphony, the Missoula Symphony, the Orquesta Sinfonica de Heredia in Costa Rica, the National Symphony of Ecuador, the Orquesta Sinfonica de Loja, the State Symphony of Medelin in Venezuela, the Thuringer Symphoniker of Germany, the Orchestre Bell’Arte of Paris, France and the Kiev Kamerata of Ukraine. Deubner’s recent engagements include concerts with the Reading Symphony, the Peninsula Symphony, the Oregon Sinfonietta, the Coastal Symphony of Oregon, the Bismarck Symphony, the Bemidji Symphony of Minnesota, Reus Festival in Spain, and the Suzhou Youth Symphony of China. Deubner has a great commitment to chamber music. He has worked with Pinchas Zukerman, Joseph Kalichstein, Andre Michel-Schub, the Tokyo Quartet, Vermeer Quartet, Colorado Quartet as well as clarinetists Guy Deplus, Alexander Fiterstein, flutists Ransom Wilson and Carol Wincenc. He was the founder of the Elements Quartet based in New York City which premiered new works by Lucas Foss, David Del Tredici, and David Sampson. These collaborations have taken him to the Kent-Blossom Festival, the Round Top Festival, as well as festivals in Sweden, Italy, North and South America. A champion of new music, Deubner has received 40 viola concertos dedicated to him and over 85 works for viola, and viola with piano or in chamber ensembles. Such important composers as Samuel Adler, Richard Danielpour, Lalo Schifrin, and Andrea Morricone have composed for him. In 2015 Deubner received the Certificate of Congressional Recognition for his “commitment to cultural and musical exchange.” For 7 seasons he was the Artistic Director of the Music and More Concert Series in the New York Metropolitan area where he is currently on the string faculty of the Aaron Copland School of Music at Queens College in New York. 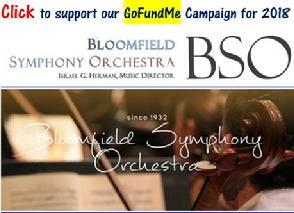 We need to raise $8,000 in order to mount our season. 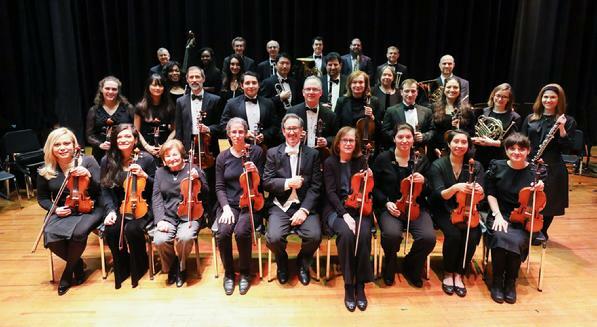 one of New Jersey's oldest Community Orchestras (founded, 1932) is seeking skilled symphonic musicians for its Concert Season. Click Here for current openings and more information.